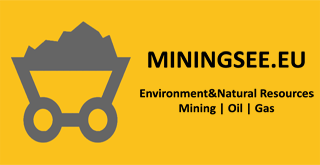 Mining exploration trends in 2015 brought certain level of decrease in geology and mining activities in Serbia. According to official data in Serbia there are more than 900 metal mineral resources deposits, 1200 non metal mineral resources locations and more than 150 locations with coal and 270 locations of oil and gas explained Dragan Milosevic from Terragold company on the mining conference organized by Tsomokos. Planed investments into geology research in Serbia marked the significant drop in 2014 on the level of 25MEUR. In 2013 44MEUR were invested and in 2012 46MEUR which represents the biggest level of mining investments in Serbia. In 2012 investors open 13 new mines. Since 2012 market shows the drop in metal resources research projects from 95 to only 9 in 2015. Non metal research projects droped also from 17 to 5 locations in 2015.